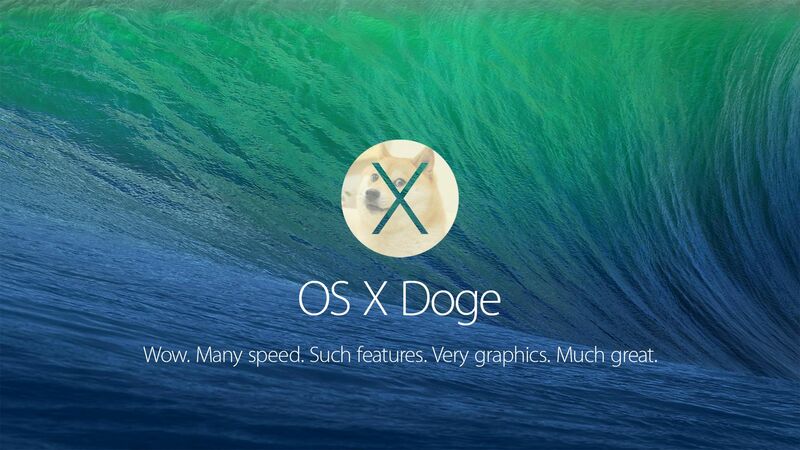 Desktop Request : OS X Mavericks "Doge" wallpaper. Discussion in 'UI Customization' started by hamiltonDSi, Dec 14, 2013. While browsing 9gag.com I found this awesome "Doge" (a meme) wallpaper but it's super low res. My girlfriend likes Doge very much because she has a dog just like him so I was wondering if someone is kind enough to remake this wallpaper (high res / better quality / no watermark ) so I can surprise her. I want to put this wallpaper on her 21" iMac so the res requested is 1920-by-1080. While I was browsing 9gag I found this awesome "Doge" (a meme) wallpaper but it's super low res. Sorry to necro, but can someone do this for a 15" retina?